Virtualization can be a difficult thing at times. Many variegated solutions, different technologies and platform-specific procedures make virtualization difficult to grasp for beginners. 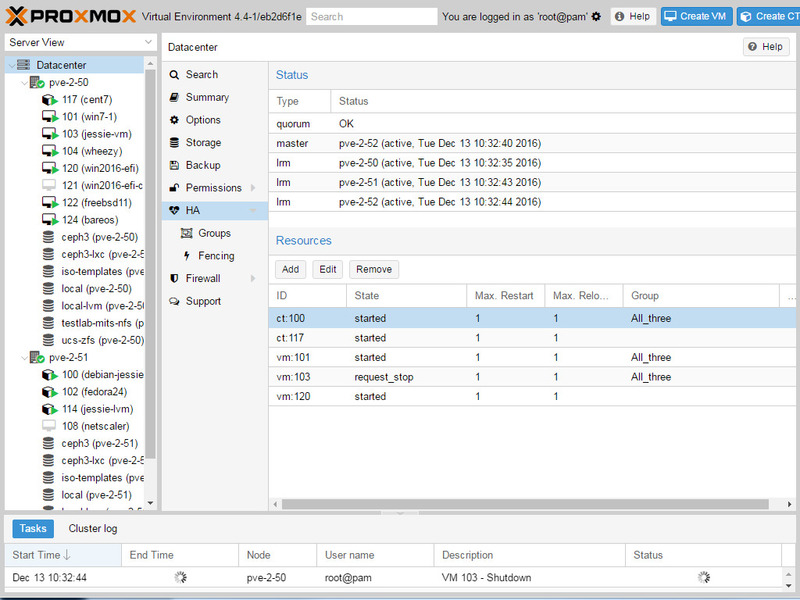 Proxmox VE is an open source server virtualization software that provides enterprise-class features behind an easy-to-use web interface. 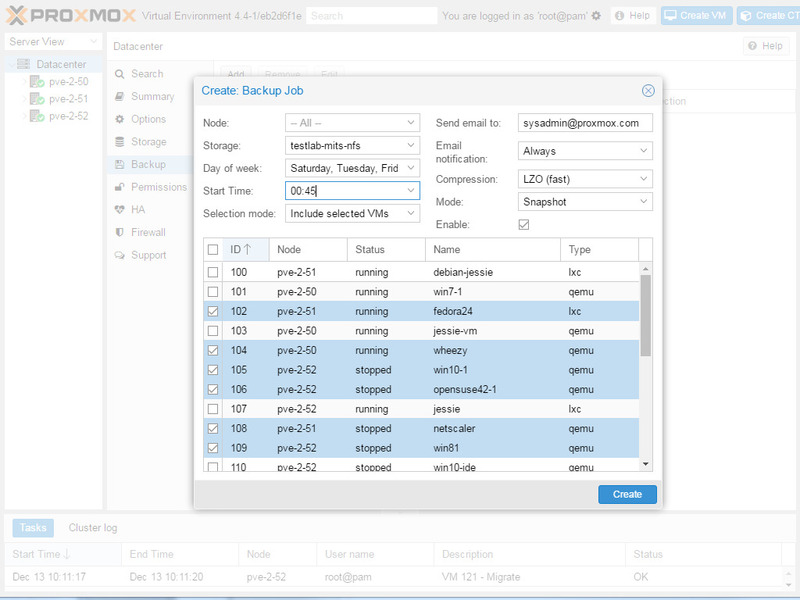 DIY enthusiasts, homelab and homeserver owners love Proxmox, and there’s a reason why. When you have no experience in matters like virtualization, containerization and setting up such systems, enterprise solutions soon become daunting. Many people will consider VMware ESXi, which is free, but to get the most out of ESXi you will need a vSphere vCenter instance which is not free. 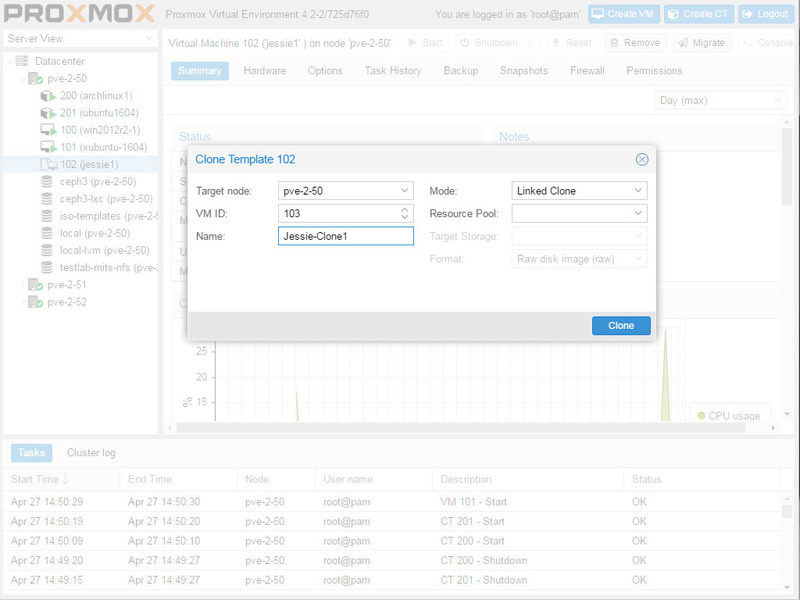 And if vSphere is not a choice, the usual next-in-list is one and only: Proxmox VE. 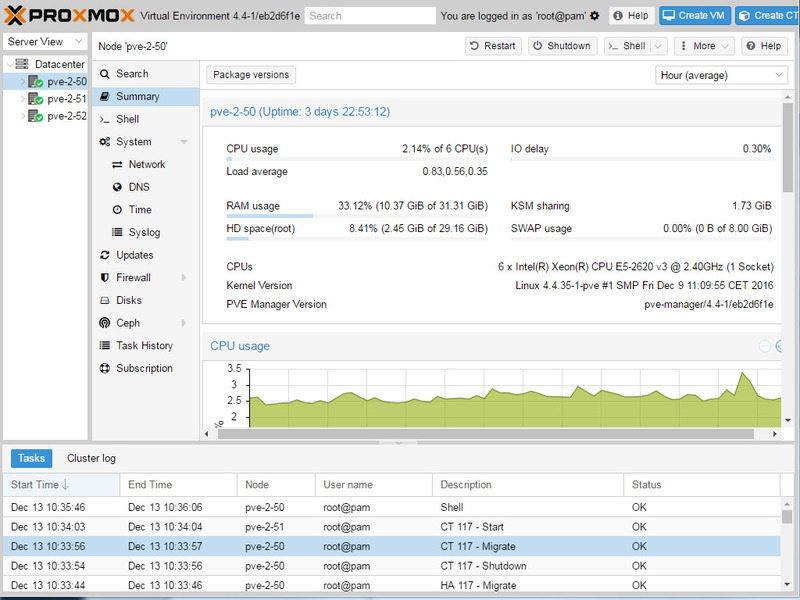 Proxmox is based on Debian and provides enterprise-class features like: clustering, fencing and LDAP integration, but these features don’t make Proxmox less easy. As a matter of fact you won’t even notice the presence of many of these features if you don’t need them. The installation process is as easy as installing a Linux distribution, and everything will work out of the box without the need to tinker around. 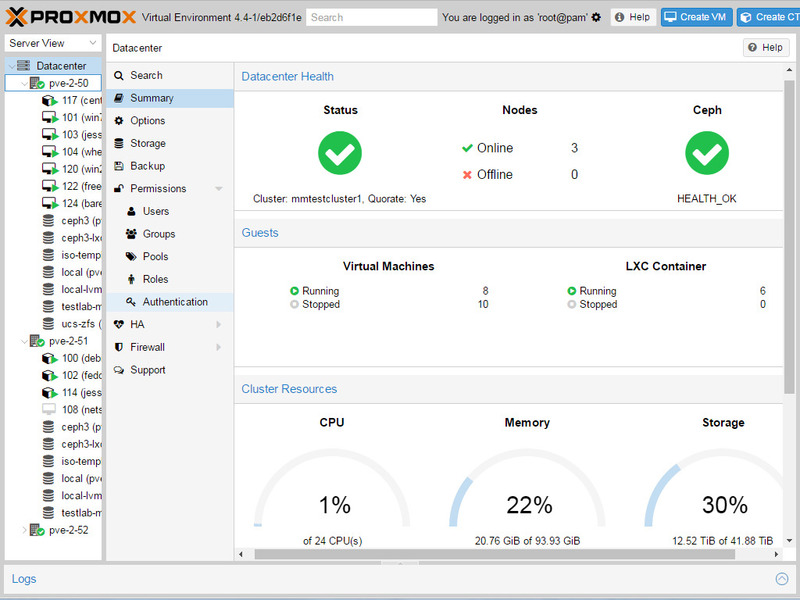 Proxmox also scales out well: if installing a single node is easy, creating many nodes and managing multiple clusters is pretty simple compared to other solutions. 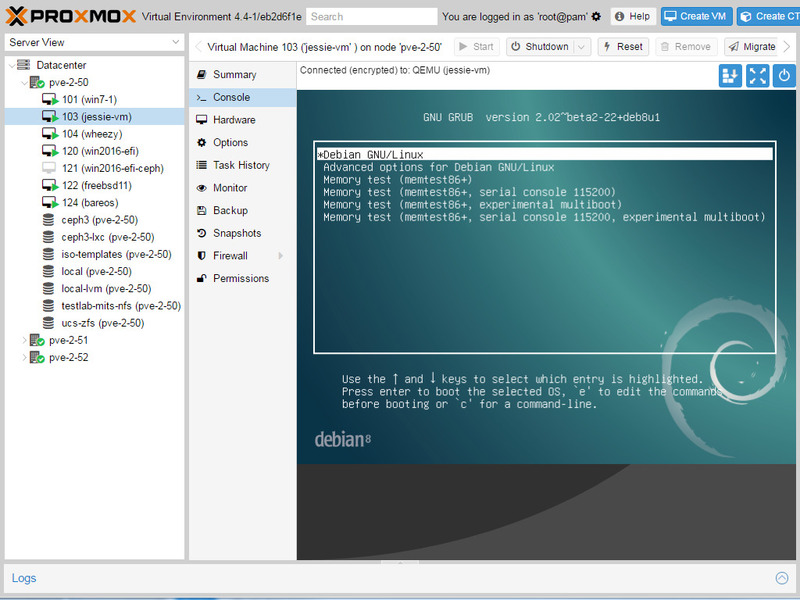 Proxmox uses QEMU/KVM as hypervisor and also provides native containers support using LXC containers. These containers are lightweight compared to virtual machines and help reduce the costs by consuming less resources. Containers can be created using useful pre-built templates that you can easily download through the web UI. 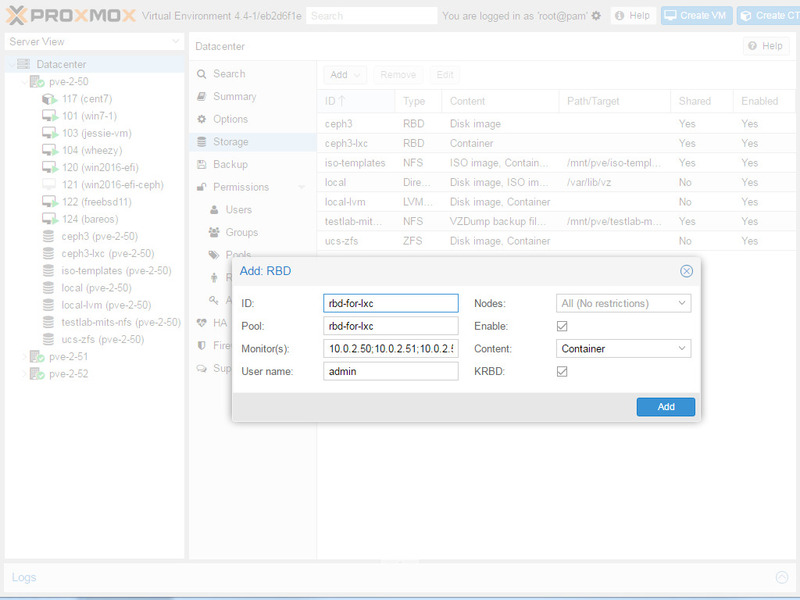 Speaking of which, one of the greatest features of Proxmox is the Web User Interface. The web UI is a lightweight interface that allows the user to perform task on a specific node or cluster. The interface also allows administrators to set up fine-grained permissions over virtual machines, containers, cluster, groups etc. Easy to Deploy, Manage, Scale. 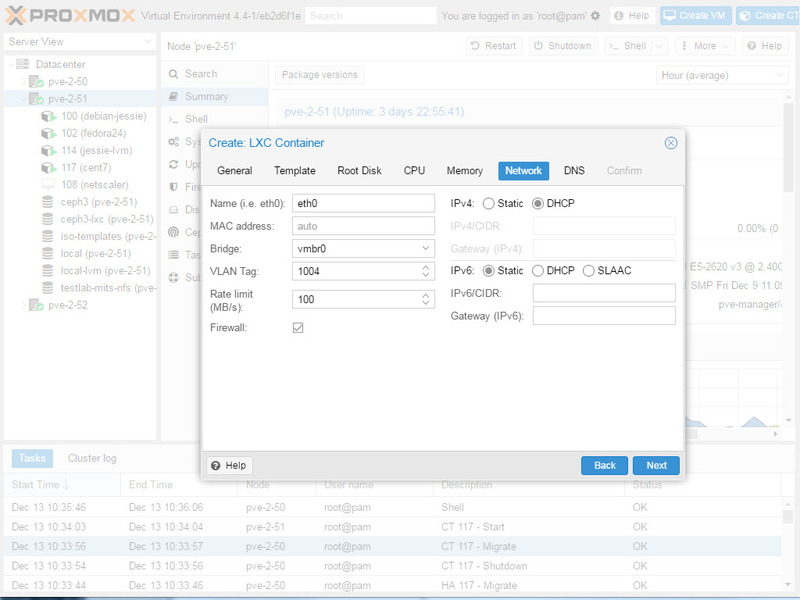 Uses LXC containers for lightweight operating-system virtualization. Integration with popular directory services like LDAP and ADS. Support for HA with fencing. Live snapshots (depends on the underlying technology). 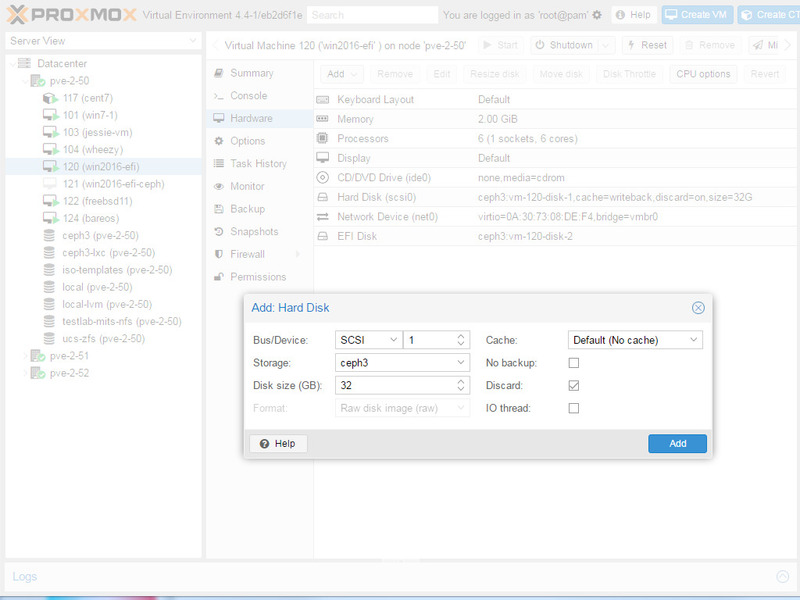 Support multiple storage backends (LVM, ZFS, iSCSI, RBD, GlusterFS). Supports scheduled backups (and restores, of course). 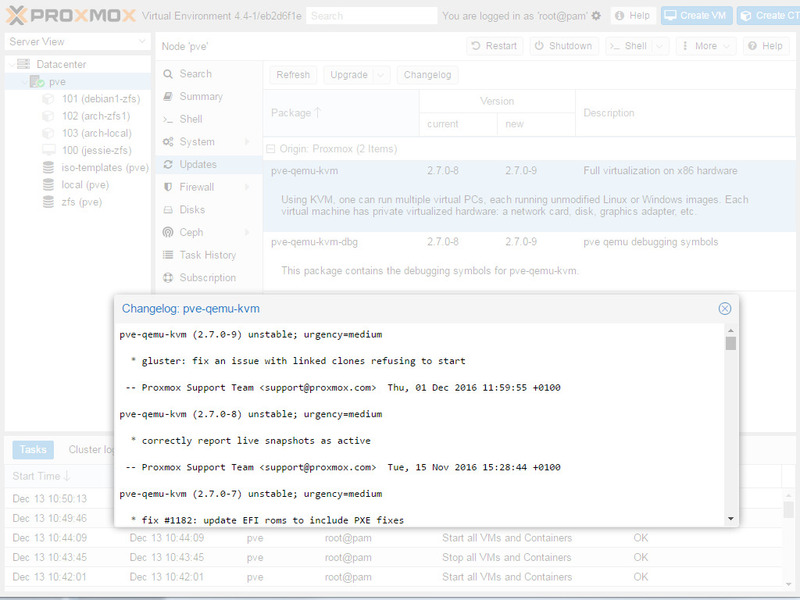 With Proxmox VE, you can virtualize both Windows and Linux guest (other operating systems are not tested, but will probably work). The flexibility offered by this solution allows large clusters to be deployed with HA and live migrations in place, and with Ceph integration, experienced administrator may bake their own hyper-converged infrastructure. 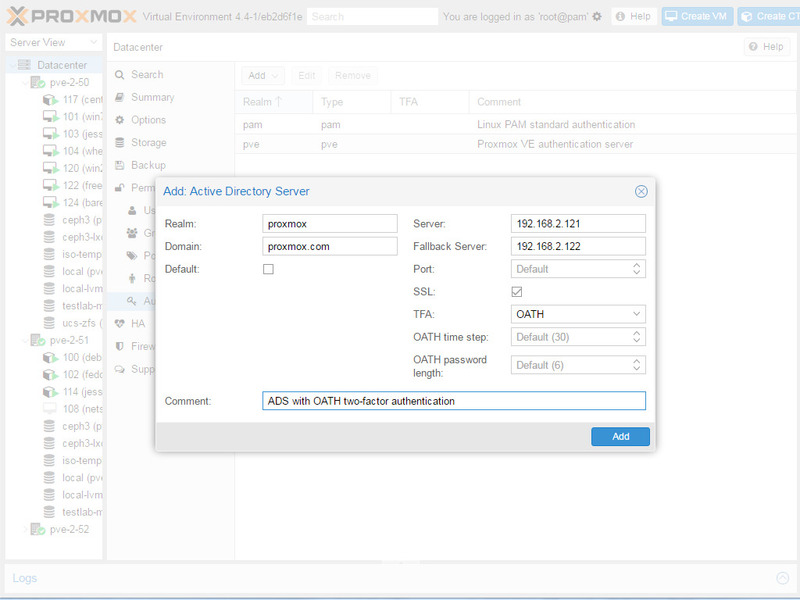 The support for multiple storage and authentication backends makes it easy to integrate Proxmox with existing environments.